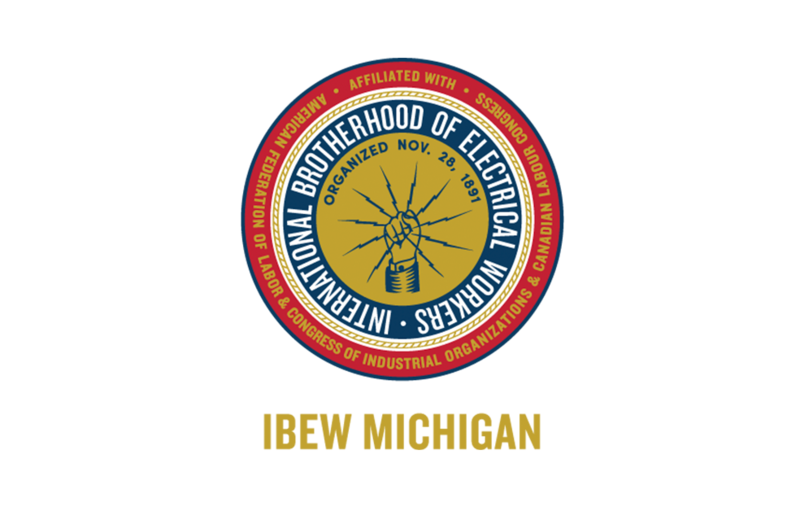 IBEW Michigan represents the very best electricians in the state of Michigan. We are part of the 725,000 member International Brotherhood of Electrical Workers (IBEW) which has members throughout North America. IBEW Michigan members install, maintain and trouble-shoot critical electrical and data systems in the commercial, public, industrial and residential markets throughout Michigan. We are committed to the promotion of quality conscious, productive and safe workers in the electrical construction industry. Why Join? Get paid your worth with IBEW Michigan. Ask yourself, do I deserve a better quality of life as a union electrician? Are you forced to work too many hours? Do you receive compensation for overtime? Do you have job site representation? Your voice will be amplified and your on-the-job concerns will be heard by our professional staff. With extensive experience in legal, political and employment issues, IBEW representatives can help ensure that you receive improved wages, benefits, fair treatment, a safer working environment, additional job security and a harassment-free workplace. Through our union we achieve a strong voice—one that cannot be easily dismissed by management. Learn more about IBEW or find your local. Would you like to get paid to go to school? Get paid to learn new career skills? IBEW Apprenticeships offer qualified individuals the opportunity to “Earn-While-They-Learn” by balancing classroom education with hands-on training on the job site. All IBEW local unions offer apprenticeships. Training is provided at Electrical Industry Training Centers located throughout Michigan. Learn more about apprenticeships or find a training center near you. Your information is confidential and will not be shared. Please select how you want to be contacted by IBEW. Thank you for contacting IBEW Michigan. Someone from our office will reach back to you soon.